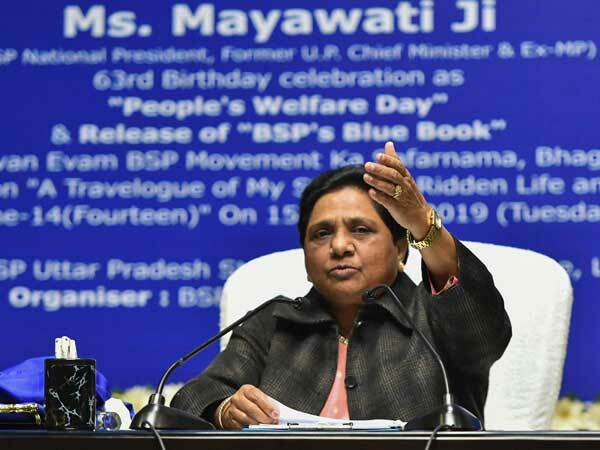 Lucknow: Bahujan Samaj Party (BSP) president Mayawati on Monday cited a newspaper report to take a swipe at Prime Minister Narendra Modi over the Rafale deal, saying honesty, national interest and national security can be compromised and ignored for the sake of the "chowkidar". "Corruption and corrupt defence deal, No problem! Chowkidar is important for the BJP/RSS, not his honesty?" she asked on Twitter, referring to the prime minister as watchman, an epithet often used by Congress chief Rahul Gandhi to describe Modi.